I love chocolate. I love cream cheese. When I first saw the new Philadelphia Chocolate, I stopped in my tracks, and the ideas started flowing. Of course my first thought was how this will make chocolate cheesecake making SO much easier, but then my mind started thinking of other chocolate Philly filled ideas. 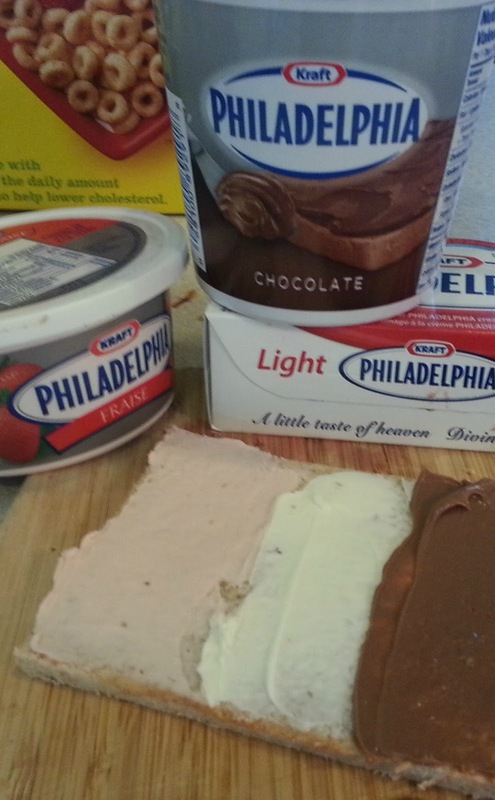 My youngest daughters loves the strawberry Philly on her bagels so the chocolate Philly would be considered a divine treat! She will not know that there is the same dairy goodness as original Philly. 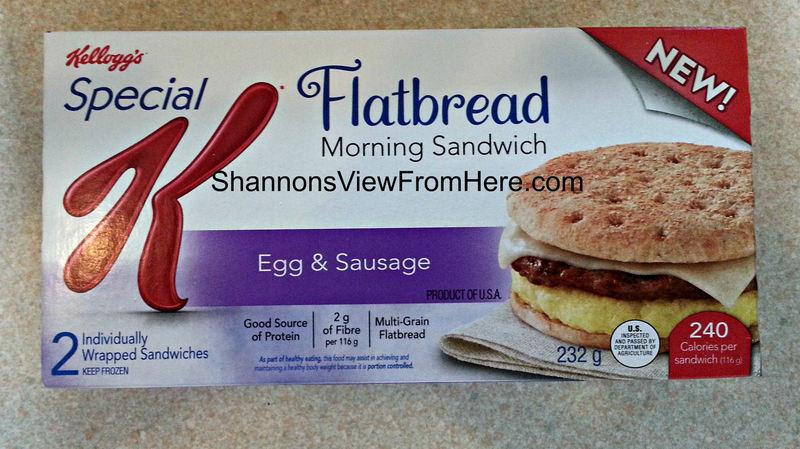 Then I thought about one of our favorite quick snack and breakfast ideas. Rolled french toast! So off I went to the kitchen. Have you noticed Chocolate Philly’s facebook Breakfast in Bed “Likes” Challenge? You can find out more about this fun challenge on Philadelphia Cream Cheese’s facebook page. Make sure you like Philly on facebook because that is where you will find out all about a limited time coupon that will be available starting May 21,2013. You will want to keep your eye out for that one. This will be my request for breakfast in bed. First you will want to roll out the slices of Sun-Maid Raisin Cinnamon Swirl Bread and cut off the crusts. Next you will spread cream cheese over the entire piece of bread. I had 3 kinds of cream cheese including regular, strawberry and chocolate flavoured. You can prepare them with just the cream cheese or add some fruit that is sliced thinly on the edge only. Another variation is to use some jam, I really liked it with strawberry jam. 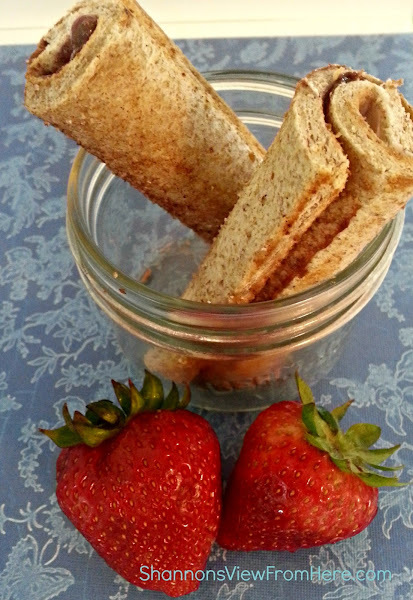 Great for those mornings that you do not have fresh fruit on hand. Yummy with strawberries rolled in too! Roll the bread up starting with the edge that has the fruit or jam on it. Spread some of the melted butter on the rolled french bread. Sprinkle with sugar and cinnamon. I just eyeballed this part because some family members like more cinnamon than others. Bake at 400′ for 10 minutes. Enjoy! Mmm that sounds super yummy! Oh yum. Sinful but YUMMMMMMY I’m sure. Can’t wait to try it. Love me some cream cheese, love me some chocolate, put them together and WOW! I can’t wait! You’ve totally convinced me to try these. Yum! OMG Cream Cheese Explosion there!!! Awesome! It comes in big tubs too??! I’ve just seen the small around here – adding a big tub to my shopping list. When did this come out! I’ve been shopping at Costco too much lately and need to go to a grocery store to buy this. Totally on my shopping list for this afternoon! Mmm that looks delicious! I think I may just try it with the kids sometime soon! UMM, what a most clever way to make a roll up. My girls will love this, it’s like Neopolitan toast. I’m doing this for them! Thanks for sharing! Looks so yummy! I haven’t seen this in my local stores – still waiting to try it! looks delicious! ive never had the chocolate! i must try it! I want to try the chocolate philly! Wondering if it’s just like nutella though.